1. Which of these can increase your risk of high blood pressure? 2. In which age group of men does the risk of high blood pressure increase? 3. True or false: Hypertension is known as a “silent killer” because most people have no symptoms. Blood pressure is the pressure of blood against artery walls as the heart pumps. When you have high blood pressure, or hypertension, the heart and arteries have a much heavier workload. The heart has to pump harder and the arteries are under greater strain as they carry blood. Uncontrolled high blood pressure puts you at a higher risk for stroke, heart attack, kidney failure and atherosclerosis (hardening of the arteries). An estimated one in every two adults has high blood pressure, according to the American Heart Association. The risk of high blood pressure increases as you age. However, through early middle age, about age 45, high blood pressure is more common in men than in women. High blood pressure usually has no symptoms; therefore, many with this condition may not even know they have it. I have a family history of high blood pressure. I am at or over age 45. I frequently have more than two alcoholic drinks at a time. I eat a lot of fried foods or foods high in fat. I eat a lot of foods high in salt/sodium. Find out if your blood pressure is in a healthy or unhealthy range by being checked by your health-care provider. Consider the “Dietary Approaches to Stop Hypertension,” or DASH, diet. This diet emphasizes vegetables, fruits and low-fat dairy foods, as well as a moderate amount of whole grains, fish, poultry and nuts. Limit alcohol. According to the U.S. Dietary Guidelines for Americans, men should limit alcohol to no more than two drinks a day. Limit caffeine intake from coffee and other beverages and foods. Aim for no more than 200 milligrams per day – about the same as two 8-ounce cups of coffee. Reduce sodium. Aim for less than 1,500 milligrams per day. Exercise regularly. Aim for 30 minutes on most days of the week. Preheat oven to 450 F. Place cauliflower florets in a plastic zip-top bag. Drizzle enough olive oil to barely coat. Add garlic powder and pepper. Close bag and toss ingredients around until all are coated. Place on cookie sheet and bake on middle rack for 15 minutes, turning them once during baking. Check them after 10 minutes for desired tenderness. Remove from oven. Melt butter and add hot sauce. 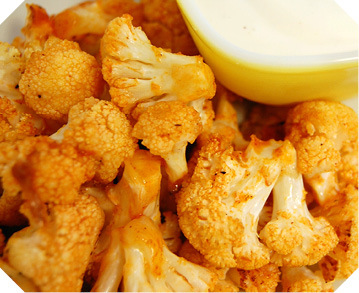 Toss cauliflower and stir to cover all florets with sauce. 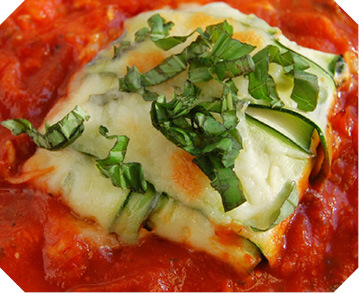 Start with about half the sauce and add more to your taste. Return to oven and cook for additional five minutes. Makes four servings. Each serving has 100 calories, 7 g fat, 3 g protein, 9 g carbohydrate, 3 g fiber and 510 mg sodium. Makes four servings. Each serving has 160 calories, 6 g fat, 14 g protein, 11 g carbohydrate, 1 g fiber and 240 mg sodium. Blend all ingredients in a food processor or blender. Process until completely smooth. Transfer to a sealable container and refrigerate one hour or until ready to serve. Serve with grated dark chocolate and/or whipped cream. 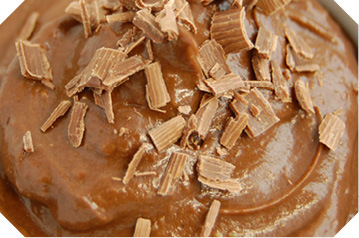 Mousse will keep for up to four days in a sealed container in the refrigerator. You also can freeze the mousse and eat it like ice cream. Makes 16 servings. Each serving has 70 calories, 4 g fat, 1 g protein, 10 g carbohydrate, 3 g fiber and 20 mg sodium.